See photo credit at the end of this story. The Islamic State of Iraq and Syria (ISIS) is mobilizing sympathizers in the US at rates much higher than seen for previous terrorist groups, including al-Qaeda. To understand the American face of ISIS, a newly released Chicago Project on Security and Threats (CPOST) study examined 112 cases of individuals who perpetrated ISIS-related offences, were indicted by the US Justice Department for such offences, or both, in the US between March 2014 and August 2016. 3. facilitating others seeking to attack or travel. Commentary to date on the type of people in the US who support ISIS is typically based on a few high-profile individual cases and some speculation. This is the first comprehensive analysis of ISIS-related cases to examine the profiles of inductees overall, as well as to identify characteristics associated with each of the three offence types. 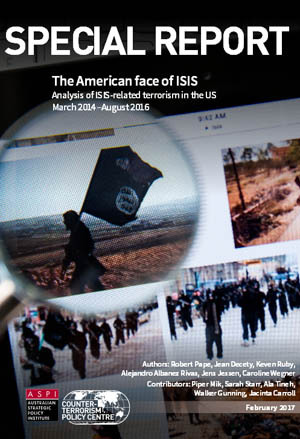 • US ISIS indictees are very similar to the overall US population with rates of marriage, college or higher education, and employment are close to the US average. • Inductees are mostly born and raised in America. – 83% are US citizens, and 65% were born in the US. • A significant proportion are converts from outside established Muslim communities. – 30% are converts to Islam, including 43% of US-born inductees. 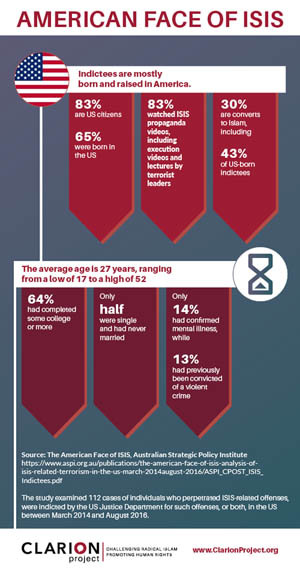 • Those indicted for attacking or conspiring to conduct an attack in the US are as likely to be US-born converts to Islam as to be from established Muslim communities. – 51% are recent converts to Islam. – 49% are from established Muslim communities. • ISIS propaganda videos played a central role in the radicalization of inductees. – 83% watched ISIS propaganda videos, including execution videos and lectures by terrorist leaders. • ISIS has been more successful than al-Qaeda in mobilizing support in the US. – ISIS is mobilizing US inductees at a rate four times higher than al-Qaeda’s. – ISIS inductees are significantly more likely to be US citizens and recent converts than their al-Qaeda inductee counterparts. • Stopping immigration from Islamic countries won’t prevent support for ISIS in the US. • Defeating ISIS in the US requires a better understanding of the group’s propaganda strategy and why it’s more successful than that of older groups, such as al-Qaeda. Click here for a PDF file of the report. Photo credit: The first photo utilized with this article is provided by the United States Attorney for the Southern District of New York. In it Samy el-Goarany poses for a photo with a weapon and the Islamic State group flag. 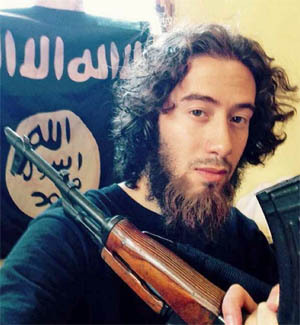 Prosecutors showed this photo of Samy el-Goarany in federal court January 17, 2017, during the trial of Ahmed Mohammed el-Gammal who is accused of helping Samy el-Goarany reach Syria where he trained with the Islamic State group before he was killed. This entry was posted in National on February 15, 2017 by admin.